I hope everyone in the USA had a great holiday weekend and that the sales on Black Friday didn't leave you broke! Like Margaret, I am doing the internet shopping thing. (Shhhh, I bought her gift last night). This card is for a friend who lost her brother-in-law recently, far too young. I used the sketch from Seems a Little Sketchy, but the deadline has past for entering this challenge. The dp is Basic Grey Boxer and cs is from Michaels. Labels 4 was used to cut out the sentiment from Verve. This is actually 2 stamps. 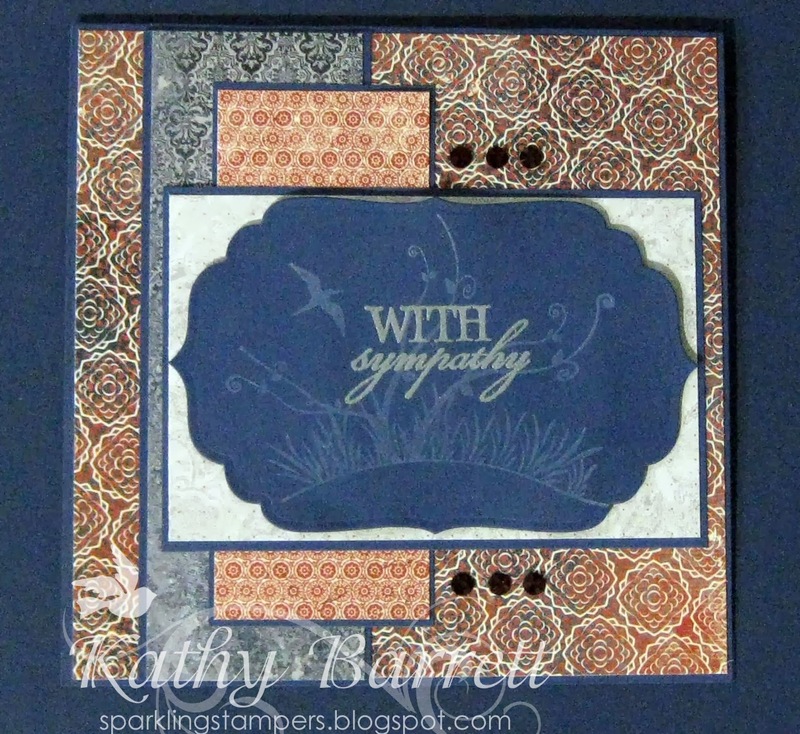 I stamped the sentiment with Versamark and used Ranger Super Fine Detail embossing powder. 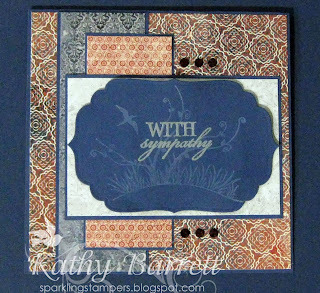 Then I used Memento London Fog and stamped the image over the embossed sentiment. I added deep red Swarovski crystals as accents.